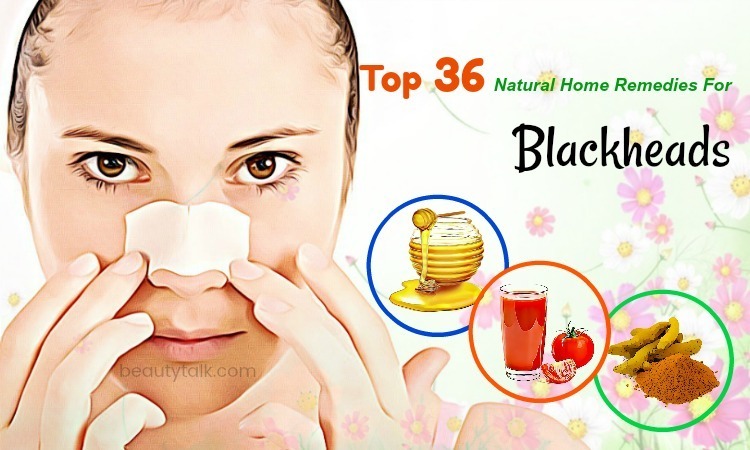 Next Post > 13 Unexpected Foods That Cause Acne – Stop Eating Before Reading The Article! Do you know that curly hair is tough to manage? 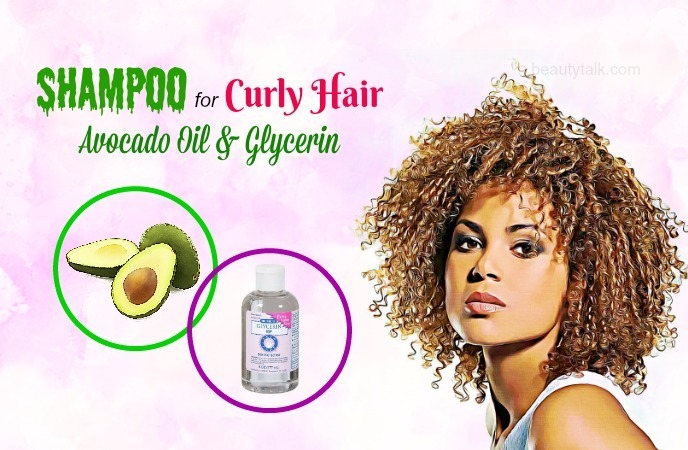 It is generally difficult for you to find out the proper shampoos, hair conditioners, and high-quality products to take care of your curly hair. The hair care products, especially the shampoos, in the stores that always claim to be effective in keeping your hair curly and gentle on scalp, can damage your hair and health due to its harsh chemicals. Sometimes, these shampoos may make the hair texture rough, dry, and brittle. Hence, instead of buying these chemical products or going to the hair salon, you can make a natural shampoo at home. 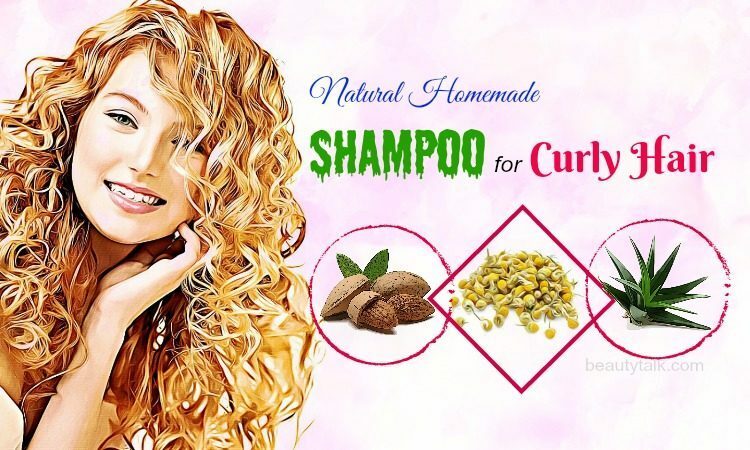 Today, Beautytalk.com will present some of the best ways to make a natural homemade shampoo for curly hair so that you can easily care for your curly hair at home. Regularly using almond oil on your hair helps to improve its shine and texture. In addition, almond oil aids in preventing hair fall effectively thanks to its rich source of magnesium. Besides, almond oil specifically contains antioxidants, essential minerals, and vitamins that help to restore and rejuvenate your hair follicles . Boil the distilled water and then add the dried rosemary to it. Simmer it for about 10 to 15 minutes and strain the liquid. Cool it down at room temperature and then add the remaining ingredients to it. Mix them properly and pour your shampoo for curly hair in a bottle. Remember to shake it every time before use. Chamomile helps to brighten up blond hair instantly. When combined with glycerin, chamomile keeps your curly hair free from tangles and silky soft thanks to its conditioning properties. Moreover, chamomile oil is one of the popular ingredients of aromatherapy & hair care . Firstly, add the chamomile flowers to the bowl of boiling water. After 10 minutes, strain the flowers and then add the soap flakes to it. Allow the soap to turn soft and add the glycerin to it. Stir it with a wooden spoon to mix them properly. 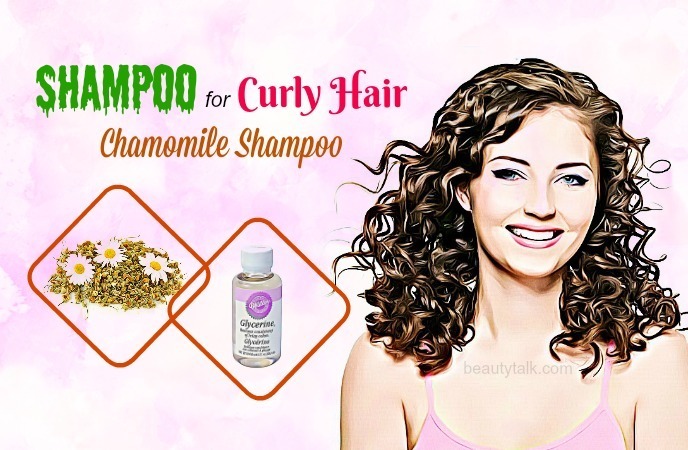 When the ingredients are well combined, pour the shampoo for curly hair in a clean bottle. Pour 2 cups of hot water, peppermint tea bags, and chamomile tea bags into a pan. After about 20 minutes, take out the tea bags and cool down the liquid at room temperature. Add the Castile soap & jojoba oil to the pan. 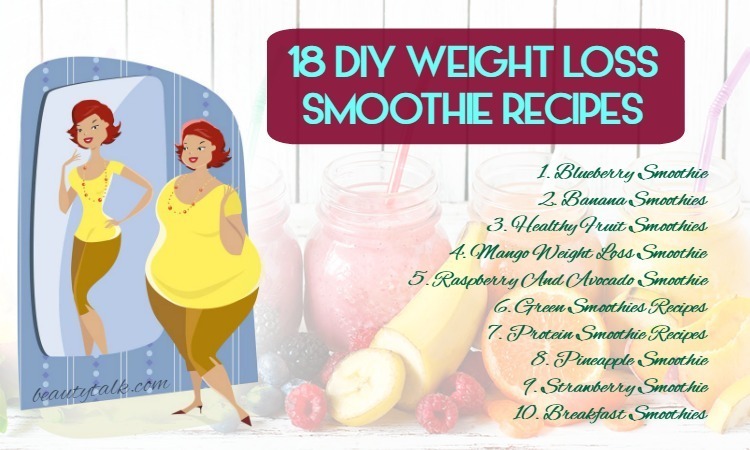 Stir it properly and then store it in a bottle. You may also use other tea bags if you are not a fan of the combination of peppermint and chamomile. Eggs contain protein that feeds your hair and makes it shiny and smooth . However, it is a bit smelly and messy, so it may be hard to follow if you are traveling. Firstly, whip a raw egg. Then, wet the hair and apply the whipped egg to your scalp & hair. Keep it on for 2 to 5 minutes. It actually absorbs well into the hair. After that, rinse your hair with water and apply a mixture of 1 tbsp. of apple cider vinegar and 1 cup of water. This helps to remove the smell of eggs. Aloe vera consists of proteolytic enzymes that help to heal and restore the damaged cells in the scalp and stimulate dormant hair follicles. 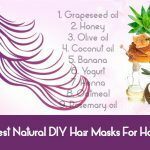 It also aids in treating hair fall and controlling hair shedding, which ensures that you have a voluminous and thick hair . In addition, it contains anti-inflammatory properties that are effective in soothing your scalp from aggravation and irritation. Its antiviral and antifungal properties help to cure dandruff & flaking. The high content of vitamins, minerals, and protein of aloe vera also helps to nourish your hair follicles efficiently. Besides, its moisture content helps to condition your hair, which locks in hydration and nutrients. Mix all the above ingredients, except the water, in a plastic bowl. When adding the water, you need to keep stirring these ingredients. This ensures that you do not add too little or too much water. When you have the desired consistency for your shampoo for curly hair, pour it into a clean bottle. Close the lid and then shake the bottle properly. Simply, mix aloe vera gel with water and stir them well. Then, pour the essential oils while stirring to make sure that they cover the remaining mixture. Now, you store the shampoo in one clean plastic or glass container and refrigerate it. Use the shampoo recipe on a damp hair. When applying the shampoo, you should allow it to seep in for 5 minutes and then rinse it off with an herbal conditioner. Let it dry completely before brushing. Note: This natural shampoo can be stored well, so you should double the recipe and then refrigerate it for 2 to 3 washes per week. This homemade natural shampoo for curly hair may not be recommended for every wash. 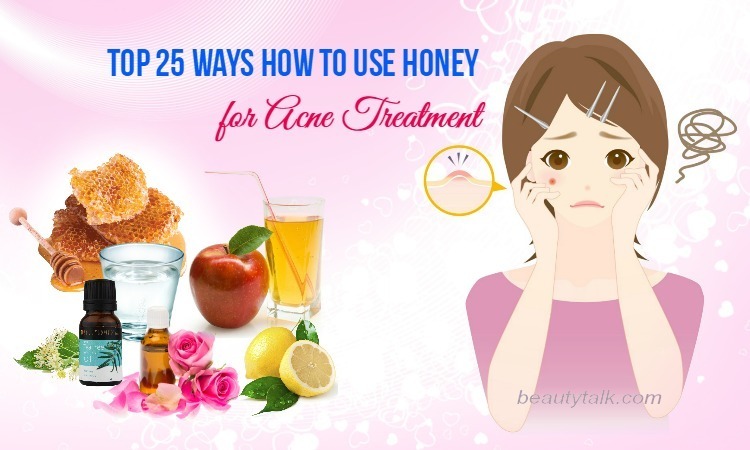 However, if you want to use natural ingredients, this is a wonderful option for you. The conditioning rinse aids in smoothening out the raised cuticle while restoring the necessary pH balance of your hair. 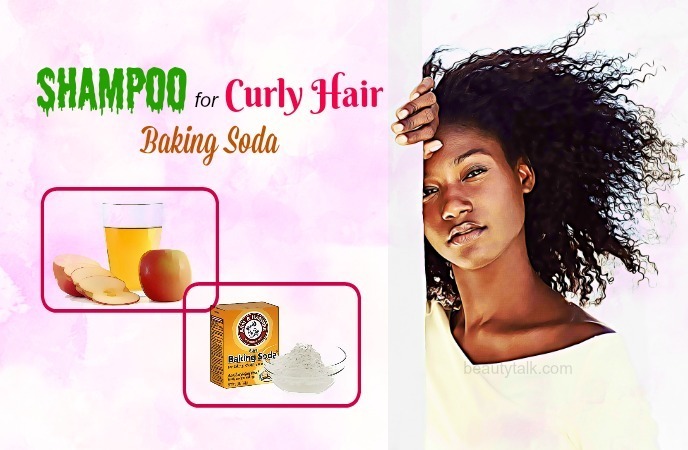 Add baking soda and 1 cup of purified water in an old shampoo bottle and mix them well. It is used as a shampoo. 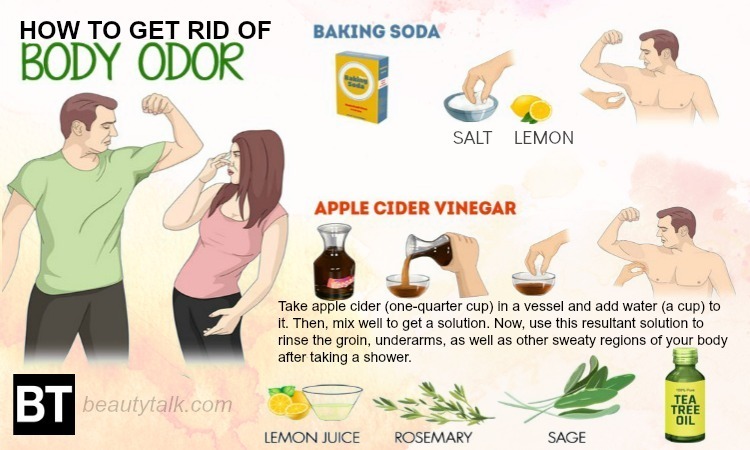 Now, mix apple cider vinegar and 1 cup of purified water and add the mixture in a separate bottle. It is used as a conditioning rinse. After that, shake the shampoo mixture well before using and then apply it directly to your scalp and hair. Then, massage gently for 1 minute or more and rinse it well. Now, shake the conditioning rinse, apply it to the hair and massage it into your scalp & hair for 1 or 2 minutes before rinsing it well. This conditioning rinse helps balance the pH levels of the hair after using this shampoo for curly hair. Note: This shampoo for curly hair isn’t intended for daily use because baking soda can dry the hair and scalp. You should use it as a natural clarifying shampoo. Note: Baking soda isn't as effective as a cleanser if mixed with hard water. Therefore, if you are living in an area with hard water, you should boil the water for about 10 minutes before mixing it with baking soda. Dry shampoo is beneficial when you are busy and do not have enough time for taking a shower. While you can buy it in large stores as a commercial spray, you may make your own with cornstarch and it actually works great! The dry shampoo for curly hair with cornstarch helps to soak up the excess sebum, remove the grease, leave the hair looking clean, and reinvigorate lifeless locks. Simply mix the organic cocoa powder and cornstarch together in a bowl by using a whisk or a clean spoon. Then, pour the essential oils into it while stirring it to ensure that the oils cover the remaining the mixture. To apply this powder to your hair, let your hair dry. Then, put the brush in this powder to make sure that it is coated. Gently pat it into the hair. You can store this dry shampoo for curly hair in a plastic or an airtight glass container and use it for up to three months. Remember to keep it in a cool & dry area out of direct sunlight. Coconut milk, obtained from a grated coconut, is very rich and creamy. 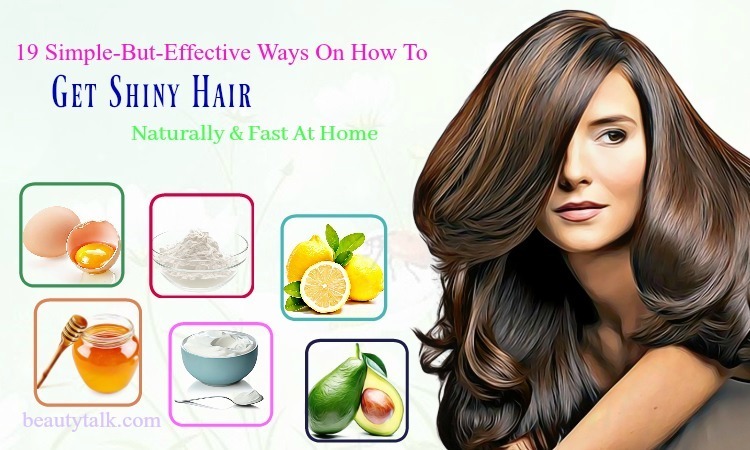 Apart from being packed with many vitamins, it also has iron, selenium, calcium, magnesium, and phosphorous, all of which are beneficial to the hair strands. Here is an effective shampoo that makes use of the power of the coconut milk. Mix all the above ingredients well and then place the mixture into your old sterilized shampoo bottle. You can use it for up to 1 month. Remember to shake it well before each use and then condition & style your hair as usual. Glycerin is considered as a natural humectant while avocado oil contains a higher content of monounsaturated fatty acids than grapeseed oil & coconut oil. It is a great moisturizer and when mixed with glycerin, it brings huge amounts of moisture to the hair strands. Firstly, mix all the above ingredients well and put the mixture in a clean old shampoo bottle. Then, shake the mixture well prior to applying it to your scalp & hair. Gently massage for about 2 minutes before rinsing it well. Finally, condition and style your hair as usual. 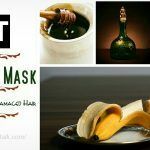 Above are some simple recipes to make a natural homemade shampoo for curly hair that you should know. 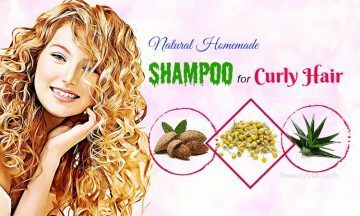 If you know other recipes to make a shampoo for curly hair, you can share with us by leaving your comments at the end of this article. 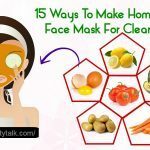 For other natural recipes for beauty conditions, please visit our DIY Beauty page.